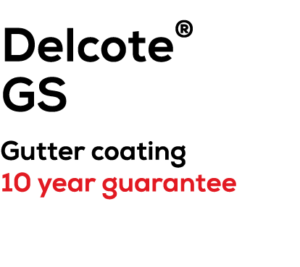 Seamsil 100 Cut Edge Corrosion System, the long established system manufactured by Delvemade is now only exclusively available from Sharmans. 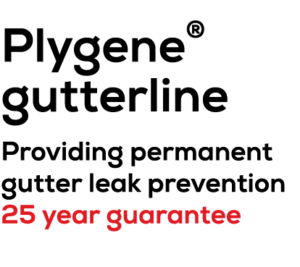 Industry leading 15 year guarantee. Market leading proven performance from a trusted brand. Endorsed by leading steel manufacturers. Engineered for the roofing environment using inorganic Alkoxy technology to prevent chalking and deterioration. Specified in confidence by surveyors and property managers for over 20 years. The quality of coatings on metal profile sheets has improved significantly in recent years. 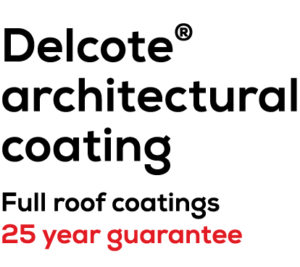 Nevertheless, the problems of delamination and deterioration of the coating presents an ever present risk to the integrity of roof structure and performance. Furthermore, the cut edge and overlapped joint remains especially vulnerable due to the effects of capillary action drawing Sulphur contaminated rainwater into the joint causing the double hazard of ‘topside’ and ‘reverse side’ corrosion. Cut edge corrosion originates at roof edges and overlaps where water is trapped, largely through capillary action , making it difficult for rainwater to evaporate. Eventually the now “trapped rainwater” begins to dissolve the protective zinc layer and allows corrosion to creep and lift the factory applied coating (PVC/PVF2) from the steel substrate. Edge corrosion is a progressive problem and, if neglected, can develop away from the cut edge. 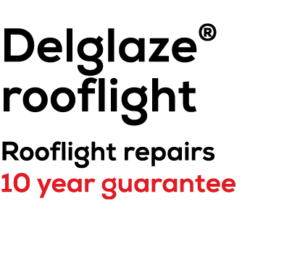 This destroys the weather sealed ap joint and gutter overhang, resulting in more extensive and expensive sheet repairs as the integrity of the roof has now been compromised. The result is an unsightly roof, scarred with lines of corrosion along the joints and random rust stains across the entire surface. Seamsil metal protection systems are designed to provide effective long life solutions to the problems of corrosion at cut edges and overlap joints on all types of profiled metal roofs. Seamsil is a silicone based remedial treatment formulated specifically to arrest the adverse effects of rust, chemical corrosion and industrial pollution, and is particularly effective in marine/coastal environments. 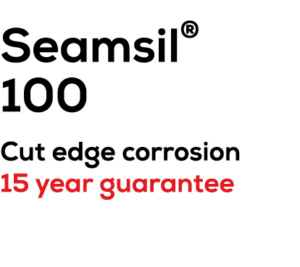 Seamsil completely encapsulates the damaged lap joint area preventing further water ingress and therefore provides maximum protection against future reverse side corrosion. Encapsulation Seamsil silicone systems have exceptional adhesion to cleaned and prepared surfaces and cure to provide a tough elastic seal, effectively encapsulating the damaged area to restrict further deterioration. 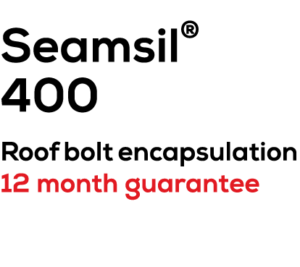 Long Life Seamsil uses GE Silicone technology with its proven long life, being unaffected by UV or extremes of weather and temperature. Elasticity Silicone systems have good elastic and flexibility properties to withstand normal surface movements. This ensures continued optimum performance even in the most aggressive environments. Colours Seamsil edge and overlap protection system is available in a range of colours to match the most popular shades used in industrial claddings. Silicone systems do not degrade by chalking and do not have self-cleaning properties. Any soiling can be removed by the application of a detergent wash. Silicones are compound polymer variations of silicon, found in sand and the second most common element in the earth’s crust. Silicones do not produce unwanted by-products or odour and at the end of life, break down naturally to inorganic silicates – again, found in sand. Long life protection in elasticity and encapsulation. Technology has natural anti-corrosion weather resistance.